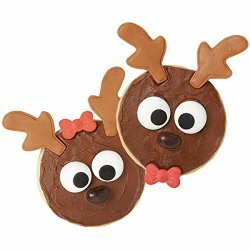 I am not really into baking, but Christmas season is calling for some sweet treats, and Smarty was quick coming up with several baking requests on her Advent activities list. To make our final product more “seasonal”, we modified our favorite chocolate cupcake recipe to make reindeer cupcakes. 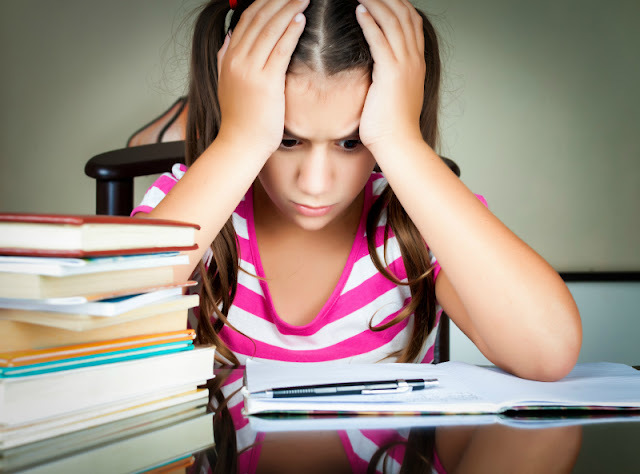 Disclosure: I am an Amazon affiliate, and this post has Amazon associate links. For full disclosure, please click here and thank you for supporting my blog! I always find it hard to get into baking, but once we lay out our materials, I enjoy it, especially the fact that my 9 year old can do most of it by herself now. 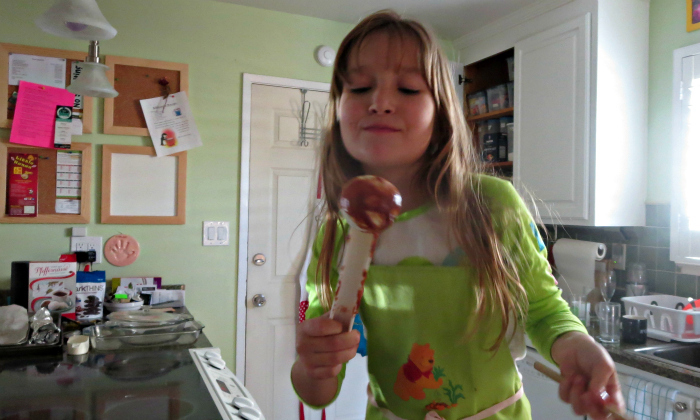 She takes baking very seriously, but her favorite part is still licking of the spoon. She was also very excited to see the decoration kit which worked really well with our chocolate rum glaze. 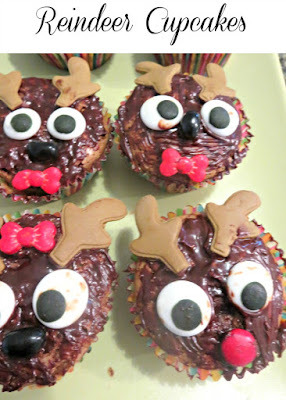 Of course, professional decorator would have more polished reindeers without brown smudges on their eyeballs, but they are still precious to me. We decorated only 6 cupcakes (Wilton kit comes with 12 and was a lot less expensive in Target where I bought mine than on Amazon where I linked to) and will do another batch for Christmas Eve. What are you baking this season? They turned out cute, and you had fun, so that's what's important. Those Wilton kits can definitely come in handy. 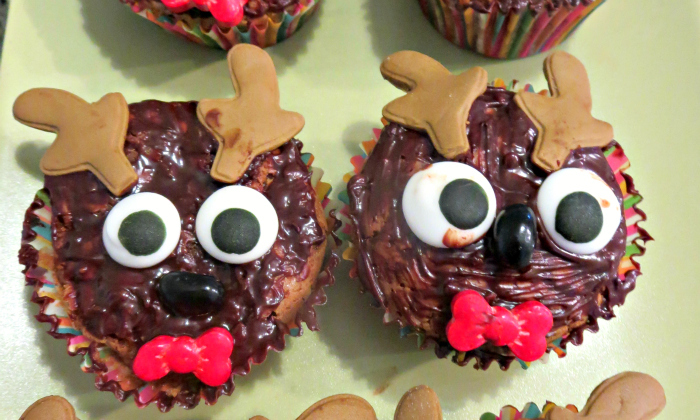 Your reindeer cupcakes are adorable!